This Double Action Tower Eagle Trophy shows the players in action. The eagle award is economically priced to fit any budget. All custom built eagle trophies come with a laser engraved brushed gold plate. 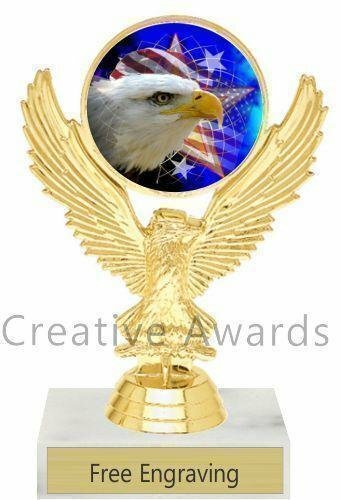 We offer a large selection of eagle awards. The Eagle Basic Eagle Trophy is available with several different inserts. This eagle award has a column for added height. All custom built eagle trophies come with a laser engraved brushed gold plate. You will find a wide selection of eagle awards. The Eagle Eagle Trophy is available with several different inserts. It is a small inexpensive eagle award with great character. All custom built eagle trophies come with a laser engraved brushed gold plate. You will find a wide selection of eagle awards. The Eagle Tower Eagle Trophy is available with several different inserts. 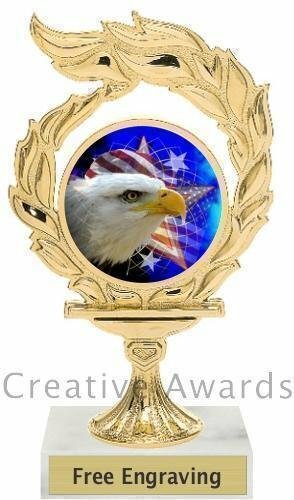 This impressive eagle award is perfect for true achievement. All custom built eagle trophies come with a laser engraved brushed gold plate. You will find a wide selection of eagle awards. 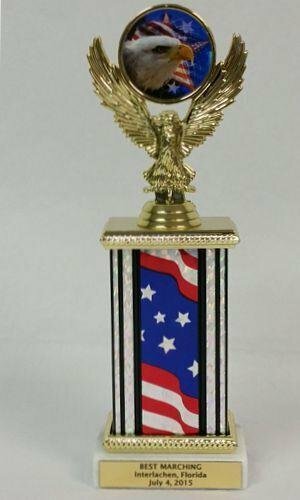 A First-Third Place Eagle Award is a great choice for tournaments and league champions. 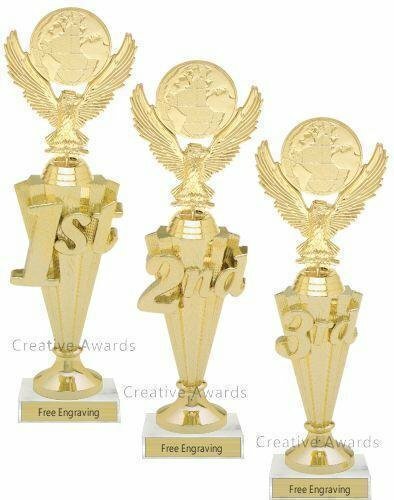 Eagle trophies are available in several configurations. All of the eagle awards are economically priced to meet your budget. Each eagle trophy comes with a laser engraved brushed gold plate. 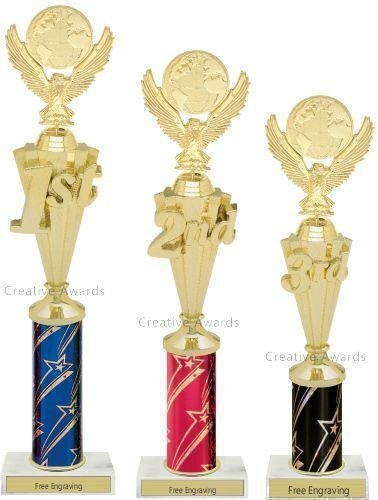 A First-Third Place Eagle Awards is a great choice for tournaments and league champions. 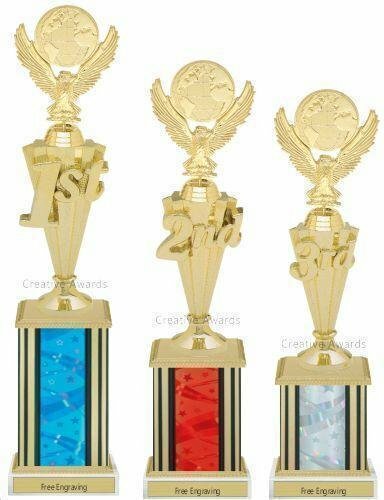 Eagle trophies are available in several configurations. This eagle award is economically priced to meet your budget. Each eagle trophy comes with a laser engraved brushed gold plate. 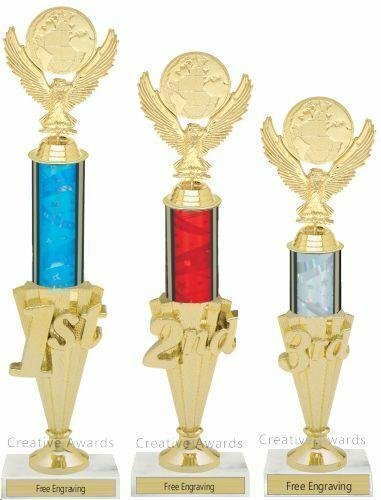 A First-Third Place Eagle Trophies are a great choice for tournaments and league champions. Eagle awards are available in several configurations. This eagle award is economically priced to meet your budget. Each eagle trophy comes with a laser engraved brushed gold plate. A First-Third Place Eagle Trophy is a great choice for tournaments and league champions. 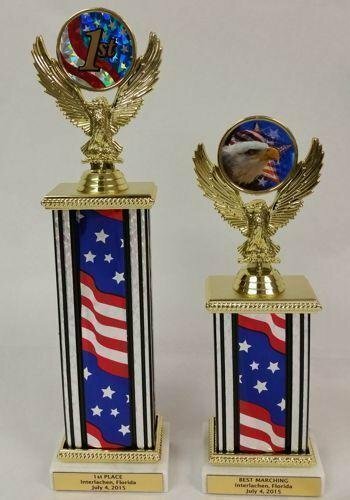 Eagle trophies are available in several configurations. All of the eagle awards are economically priced to meet your budget. Each eagle award comes with a laser engraved brushed gold plate. The Flame Eagle Award is available with several different inserts. It is a small inexpensive eagle trophy with great character. All custom built eagle trophies come with a laser engraved brushed gold plate. We offer a large selection of eagle awards. The Flame Eagle Trophy is available with several different inserts. This eagle award has a Column for additional height. This is an inexpensive trophy with great character to fit you're your budget. All custom built eagle trophies come with a laser engraved brushed gold plate. We offer a large selection of eagle awards.